Woodwick Soy Candles by Mrs Nargar & Co. 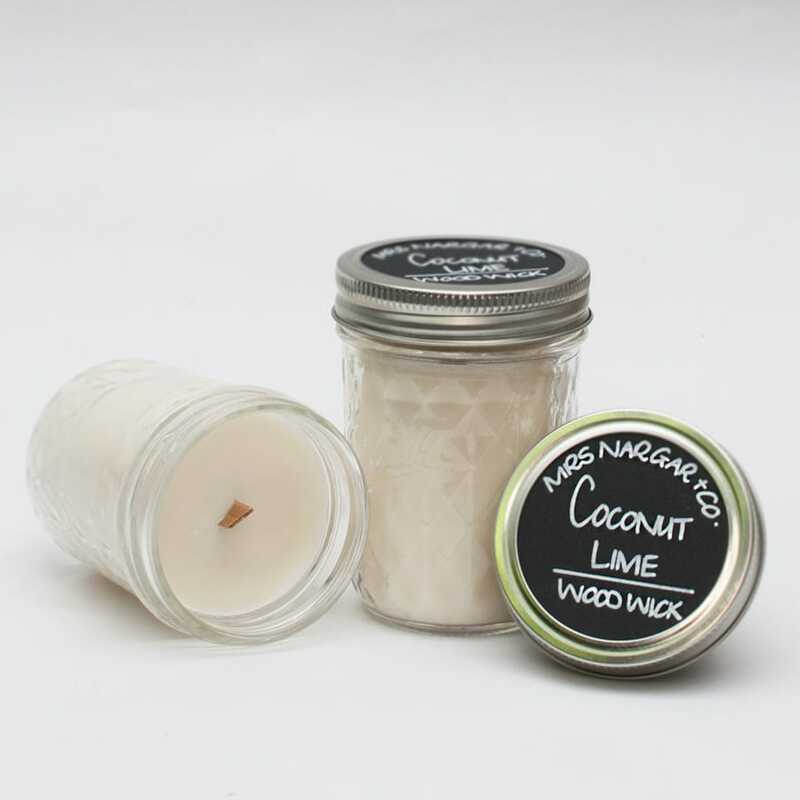 These are individually hand poured using eco soy wax with a wood wick that gives a long clean burn. Eco soy wax contains no toxins. This promotes a cleaner burn with no nasties.